Spinal cord injuries are some of the most traumatic injuries a person can sustain in a car accident. Damage to the spinal cord may result in loss of function, including feeling and mobility, throughout the entire body. Many people assume that the spinal cord must be severed to suffer paralysis. However, this is not true. A blunt force trauma to the spinal cord can also result in complete or incomplete spinal cord injury. 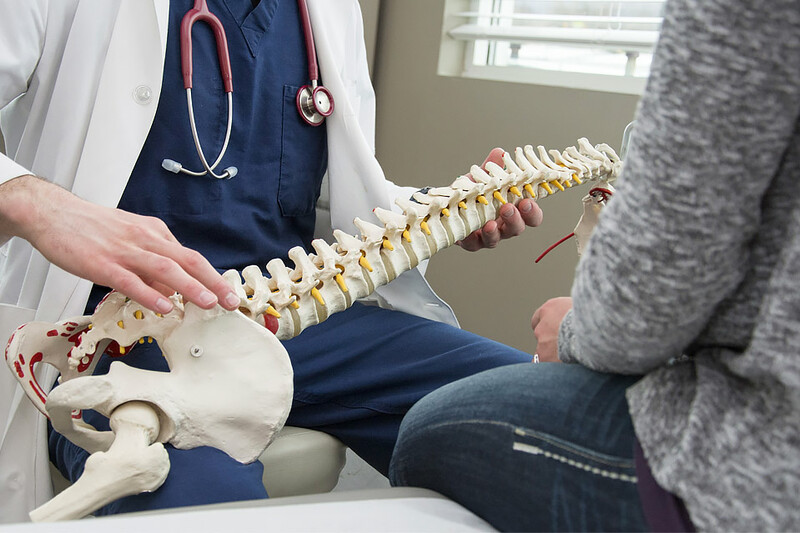 Because a spinal cord injury may have life-altering implications for the victim and the family, it is recommended that you consult a Parkville spinal cord injury attorney as soon as possible after an accident. The attorney can explain your legal options for recovering compensation from the at-fault driver, including compensation for spinal cord injury rehabilitation. The effects of a spinal cord injury depend on the location of the injury and the severity of the injury. A spinal cord injury is classified as complete or incomplete. When a person has no function below the level of the injury, the SCI is described as a complete spinal cord injury. In other words, there is no feeling or voluntary movement in the areas of the body controlled by the spinal cord below the injury. For instance, cervical injuries usually result in quadriplegia because the damage to the spinal cord occurs at the upper level near the base of the head. Therefore, the entire body below the neck is impacted by the spinal cord injury. Incomplete spinal cord injuries mean that the person retains or regains some sensory and motor function below the primary area of injury. For instance, a person may continue to have some feeling in his or her legs, but mobility is impaired. Another example would be a spinal cord victim who can move one side of his or her body while the other side of the body is paralyzed. There is no cure for spinal cord injuries. However, spinal cord injury rehabilitation can help an injury victim adapt to a new way of life. Spinal cord rehabilitation can also optimize recovery efforts to help improve physical functioning as well as emotional and mental functioning. What Can You Expect During Spinal Cord Injury Rehabilitation? No two people experience a spinal cord injury in the same way. Therefore, spinal cord injury rehabilitation is tailored to the specific person. Your spinal cord rehabilitation plan is based on your specific injury, abilities, and needs. In most SCI rehabilitation cases, you are assigned a team of professionals and experts in the field of spinal cord injuries to assess your needs, develop a rehabilitation plan, and guide you through the spinal cord rehabilitation process. Remember, you cannot cure a spinal cord injury, but through SCI rehab, you can accomplish several goals that help you optimize your independence and abilities. Working to overcome emotional and psychological problems that can hinder an SCI victim from adjusting to a new way of doing things. To address the various goals of spinal cord rehabilitation, you will likely have a rehabilitation team. Members of the team work on various aspects of your SCI rehabilitation. For instance, regaining strength, movement, and mobility is often a top priority. Therefore, you generally have physical therapists and occupational therapists who work with you to increase your abilities. Physical therapists focus on increasing your strength and mobility while occupational therapists focus on redeveloping your fine motor skills and learning alternate ways of performing tasks based on your abilities after the spinal cord injury. In some cases, speech therapists work with SCI patients who need assistance in learning how to communicate after an injury verbally. While the physical portion of SCI rehab is important, it is also important to have a team of professionals that treat your mental and emotional conditions. Suffering a spinal cord injury is a traumatic and life-altering event. Many SCI victims go through various stages of emotional grief including anger, frustration, depression, and fear. A team of mental health professionals, including neuropsychologists, therapists, counselors, psychologists, and other mental health professionals work to address the emotional and cognitive effects of a spinal cord injury. Continuing research into new treatments and technology to help spinal cord injury victims is ongoing. As researchers explore new avenues of treatment, SCI rehabilitation continues to improve and expand. However, spinal cord rehabilitation is expensive. Even though filing an accident claim may not reverse what has been done, it can help you recover compensation that will help pay for SCI rehab and other expenses as you continue to adapt to a new way of life after a spinal cord injury. If you or a loved one has suffered an SCI, we encourage you to contact our Parkville spinal cord injury attorneys for a free case review to discuss your legal options for recovering compensation for your spinal cord injury. Contact the Parkville spinal cord injury attorneys of Pinder Plotkin LLC by telephone at 410-661-9440 to schedule your free consultation.